Twenty miles to the south of the Charlotte metro area is prime lakeside living along Lake Wylie. On a southeastern peninsula jutting into the lake is the community of Tega Cay, a three-acre planned city in Fort Mill. In addition to the obvious allure of the waterfront, Tega Cay also offers miles of walking trails and 27 holes of golf. 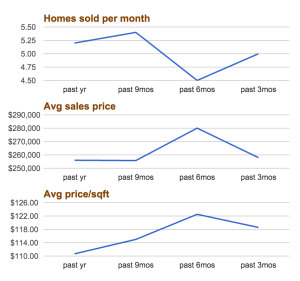 Home sales in Tega Cay have averaged approximately 5.2 homes per month over the last year. 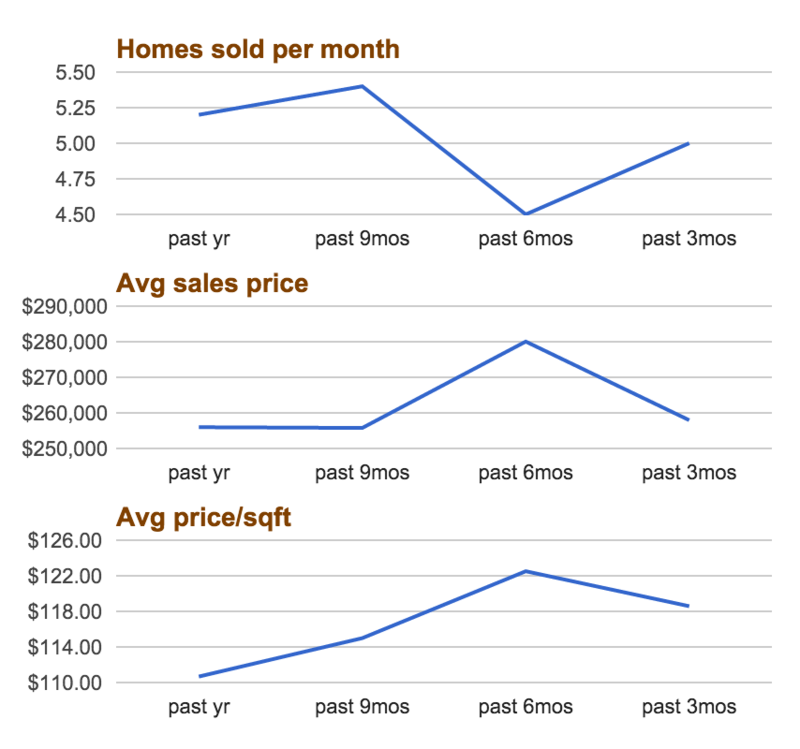 The average sales price and average price per square foot trends have nearly mirrored each other, peaking in the last six months and trending downward over the last 3 months. The average sales price over the last three months is just over $257,000, and the average price per square foot is just shy of $119. Currently, there are 27 homes on the market in Tega Cay. Of those listed, 11 are under contract as of Dec. 15. This represents a market inventory of a little over 5 months, given sales average just over 5 per month. Fort Mill and York County have 5.4 months and 7.3 months inventory, respectively. 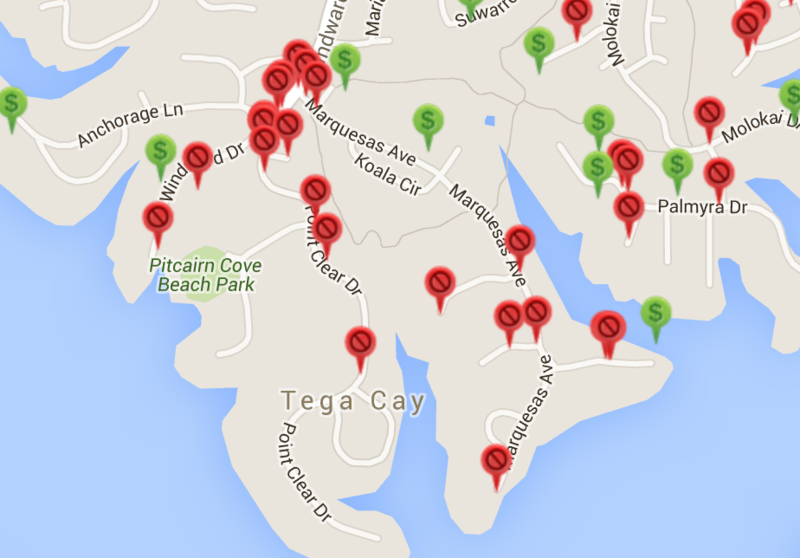 On all of Lake Wylie, there are currently 97 waterfront properties listed for sale or 11.2 months inventory. The average sales price of a Lake Wylie waterfront home is $755,034.